Harry McGill came out on top in the much awaited re-match with veteran Micky Dunn in a repeat of the 2017 final of Greenock Glenpark Harriers John K Neave 100metre handicap race. With five of last year’s finalists again making their way through to the last 8 there was more than a feeling of déjà vu as the athletes went under starting orders. The trophy was expected to go to one of the winners of the 4 semi-finals Micky Dunn, Harry McGill, and the surprise athletes of the night, youngsters Ava Beaton and Sophie McGinty, who had both been impressive recording the quickest times of the opening 10 heats. Also joining them were Beth McKenna, Paul Beaton Katie Johnson and Joshua Ruddy. Sophie, off 22metres, burst away from the gun and held off the back markers until the 80m point, and once again it was Dunn who was to hit the front. But with the finish line just a few strides away, his thoughts of glory were dashed as McGill came storming through like a runaway train to reverse the result of 2017. 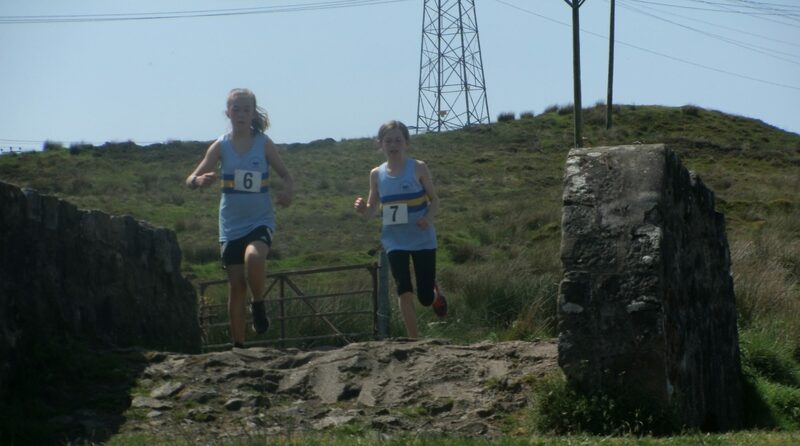 Sophie held on for bronze followed closely by Ava Beaton just leading a blanket finish for the minor places. The prizes were presented by Sally Mack, daughter of John K Neave who had won the 1915 race which inspired the current competition. Thanks also to race sponsors Greenock Morton Hospitality, and to Warren Hawke, Brendan McEleny, and Mark Farrell earlier in the afternoon for hosting Sally and her husband Ken who had travelled from London, on a tour of Cappielow the scene of the original race in 1915. RESULTS: Heat1 Ava Beaton 11.60, Heat2 Sophie McGinty 11.65, Heat3 Michael Dunn 11.66, Heat4 Leah Knox 13.25, Heat5 Douglas Campbell 13.54, Heat6 Abbie Tosh 12.89, Heat7 Beth McKenna 12.67, Heat8 Mhairi Moore 12.93, Heat9 Harry McGill 12.00, Heat10 Joshua Ruddy 12.50. A rare photograph below from the original competition in 1915. This entry was posted in Uncategorized on September 7, 2018 by greenockglenparkharriers.